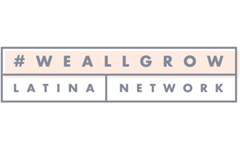 Peruvian cuisine has become increasingly sophisticated in the past decade or so, open to all sorts of new fusions. 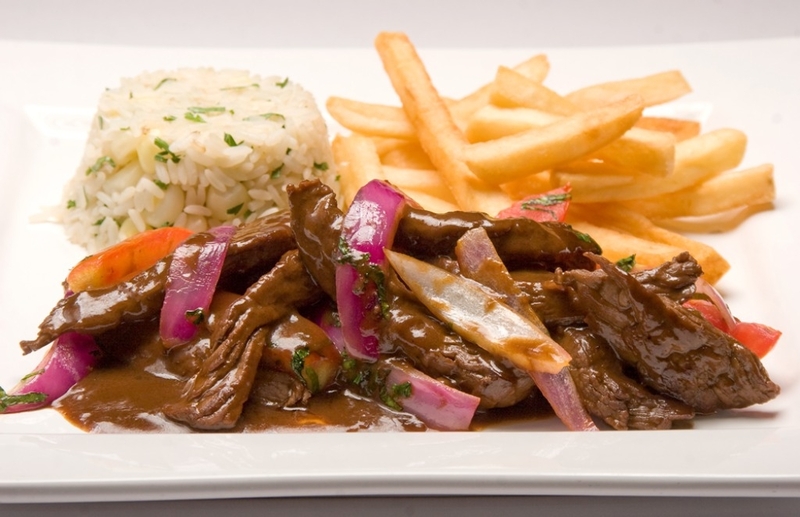 And pairing a scrumptious lomo saltado -usually served with French fries and white fluffy rice- with a creamy and bright risotto has been the normal evolution of this dish. Risotto is the perfect vehicle to soak and transport all the flavors of the saltado (stir-fry), making the white rice a less exciting memory, and the fries irrelevant. You can change the flavor of this tasty risotto by using chicken or shrimp instead of beef for this saltado. Are you a vegetarian? Use portobello mushrooms or any other veggie. If you want the saltado to be extra juicy, add some beef stock along with the soy sauce. Adding Parmesan cheese to this risotto is optional, although I usually don’t do it because I like to keep it light and I want the saltado flavor to shine and not be dimmed or overpowered by the cheese. This recipe is in my book, The Peruvian Kitchen Cookbook. Heat the oil in a saucepan over medium heat. Add onion and garlic and cook, stirring occasionally until translucent. Add rice and continue stirring for 7 minutes. Add white wine, bring to a boil, and reduce the heat. When the liquid evaporates start adding ladlefuls of the simmering stock, stirring the rice until the stock is absorbed. Season with salt and pepper. Continue doing this until the rice is al dente. In the meantime make the lomo saltado and have it ready in a covered pan. 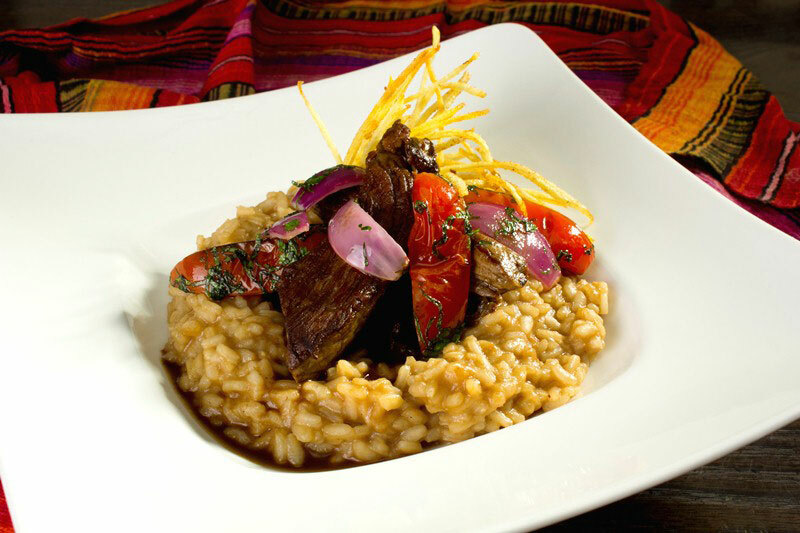 Serve a portion of risotto in each plate and top it with lomo saltado. Note: Garnish the dish with some thin fried potatoes (optional) for texture and decoration. Lomo Saltado is delicious. Worth to try.